Bigfoot. The Loch Ness Monster. The Abominable Snowman. Tales of unidentified mysterious animals have long intrigued and captured the imagination of people around the world -- and Japan is no exception. Here is a brief introduction to 7 of the island nation's most notorious cryptids, complete with grainy photographs where available. Whether you regard these tales as fact or fiction, their impact on the culture where they were encountered is undeniable. The Hibagon (a.k.a. Hinagon) is a cryptic hominid, similar to Bigfoot, inhabiting the area around Mt. 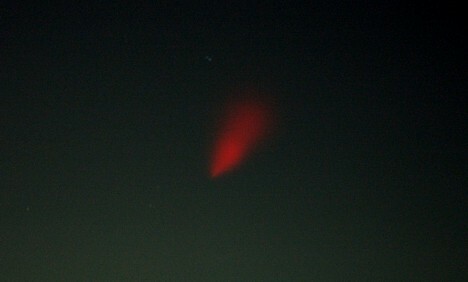 Hiba in northern Hiroshima prefecture. According to numerous eyewitness accounts from the early 1970s, the Hibagon stands about 1.5 to 1.7 meters (about 5 ft) tall, weighs an estimated 80 to 90 kilograms (about 180 lbs), is covered in a thick coat of black or brown fur (sometimes it is reported as having a spot of white fur on its chest or arms), and has an unusually large triangular head and intelligent human-like eyes. 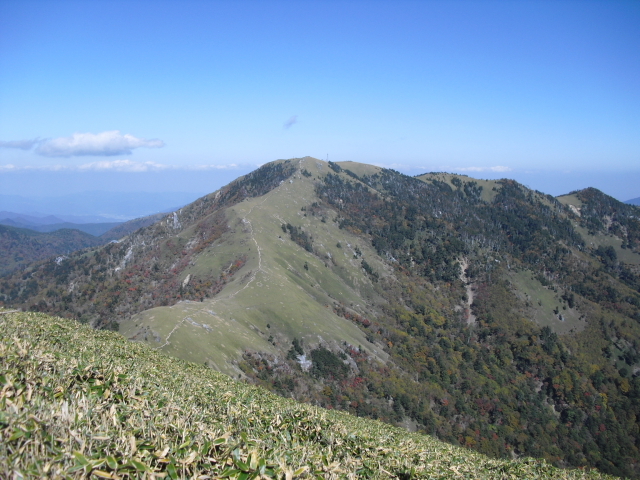 The Hibagon received its name from the local animal control board. 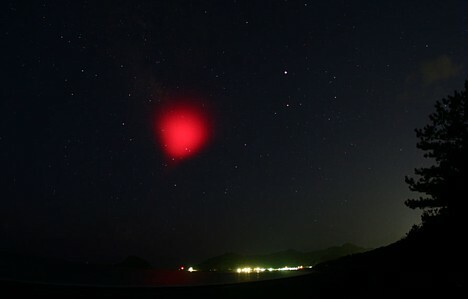 The first known Hibagon sighting occurred on July 20, 1970 in the area around Mt. Hiba near the border with Tottori prefecture. Three days after the initial sighting, the furry ape-like creature was seen again walking through a rice paddy in the nearby rural town of Saijo. A total of 12 sightings were reported that year, and mysterious footprints were found in the snow that December. Numerous Hibagon sightings were reported in areas surrounding Mt. Hiba in the summers between 1971 and 1973, as increased human activity during the hunting season forced the creature down from the mountain. 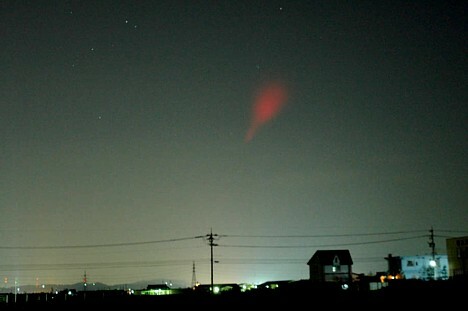 On August 15, 1974, the Hibagon was photographed as it hid behind a persimmon tree. Unusual footprints measuring 20 centimeters (9 in) long were found nearby. After this photo was taken, the Hibagon went back into hiding, only to be seen two more times -- once in 1980 and again in 1982 -- before disappearing forever. Tsuchinoko -- Reality? Myth? Or mistaken identity? 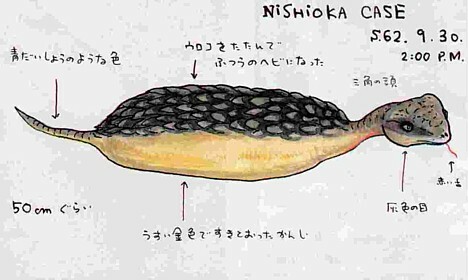 The Tsuchinoko is a snake-like cryptid found throughout Japan, except in Hokkaido and the Okinawan islands. Reports describe the Tsuchinoko as having a thick, stubby body measuring 30 to 80 centimeters (12 to 30 in) in length, often with a distinct neck, gray, brown or black scaly skin, and venomous fangs. Some accounts suggest the Tsuchinoko has a loud, high-pitched squeak and can jump as far as one meter. The earliest known written record of the Tsuchinoko dates back to the 7th century, where it appears in the Kojiki (Records of Ancient Matters), the oldest surviving book in Japan. In some legends, the Tsuchinoko can speak, has a tendency to tell lies, and enjoys the taste of alcohol. 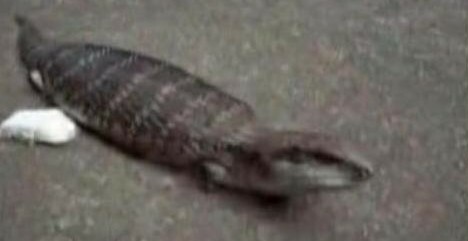 Skeptics dismiss Tsuchinoko sightings as simple cases of mistaken identity, suggesting the creatures are nothing more than snakes in the process of digesting large meals, or perhaps even escaped exotic pets such as the blue-tongued lizard. Kusshii is a giant lake monster believed to inhabit Hokkaido's Lake Kussharo, a large freshwater lake located in an environment and climate similar to that of the famed Loch Ness. According to eyewitness accounts, Kusshi is 10 to 20 meters (30 to 60 ft) long and has humps on its back, a long neck and a pair of horns on its head. Reports suggest it can swim as fast as a motorboat. 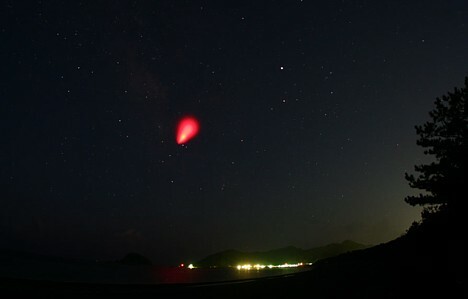 Kusshii's most famous appearances include a 1973 sighting by 40-member team of biologists from Hokkaido University, as well as 15 separate reports by tourists in 1974. 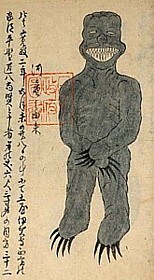 Isshii, another Japanese cryptid lake monster, is believed to inhabit Kagoshima prefecture's 20,000-year-old Lake Ikeda, the largest caldera lake in Kyushu. 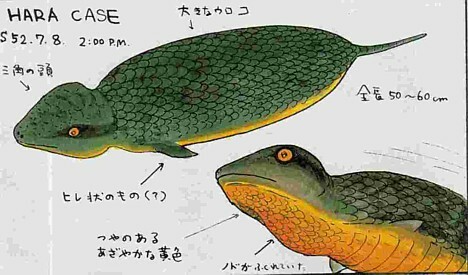 The creature is similar in appearance to Kusshii, but larger. Isshii entered the public consciousness in September 1978, after more than 20 people reportedly witnessed a giant creature moving at a blistering speed through the water. Widespread news coverage of the sighting brought a flood of tourists to the lake, and in December of the same year, a photograph was taken showing what some believe is the back of the creature poking through the water surface. Since 1990, a number of home videos have emerged showing mysterious activity just under the water surface, but none of the videos are widely seen as irrefutable proof of Isshii's existence. Some theories suggest Isshii could be an unidentified descendant of the Plesiosaur, while others believe it to be some sort of giant eel. Other theories suggest the sightings can be explained as rogue waves generated by winds unique to the lake. Rogue waves cannot, however, explain what happened in 1961, when a large-scale search was conducted for a US military jet believed to have crashed in the lake. Sonar equipment used in the search reportedly revealed a large rock-shaped object moving through the water below, and records indicate that divers on the lake floor were nearly attacked by a large, unidentified creature. Mt. 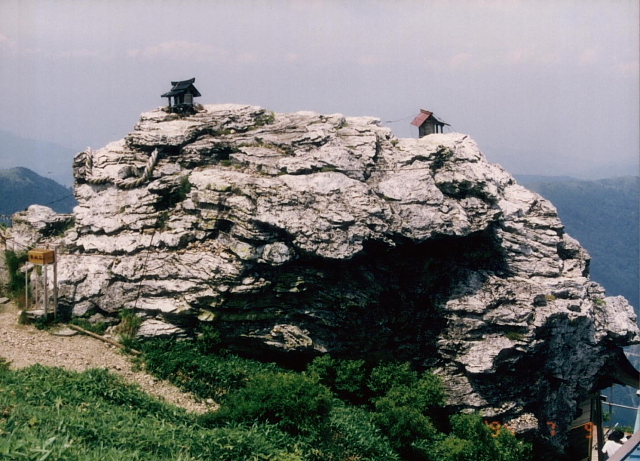 Tsurugi, the second highest peak on the island of Shikoku, is steeped in mystery. According to one local legend, the mountain is actually a giant man-made pyramid, and another legend says that a hoard of King Solomon's secret treasure lies buried within. A giant snake believed to be guarding that treasure has been sighted on many occasions. 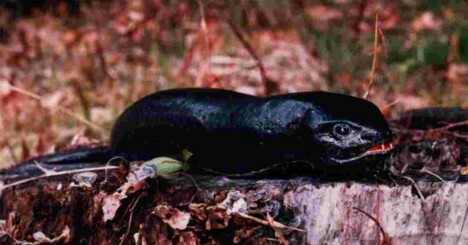 In May 1973, a group of 4 forestry workers reportedly encountered a 10 meter (33 ft) long snake as big around as a telephone pole. The creature was described as having shiny black scales, and it reportedly made a loud chirping sound. In the months that followed, local officials organized a large-scale hunt for the snake, enlisting the help of hundreds of volunteers. While the creature was not apprehended, the searchers did find what appeared to be giant snake tracks that measured 40 centimeters (16 in) wide and passed alongside fallen trees. 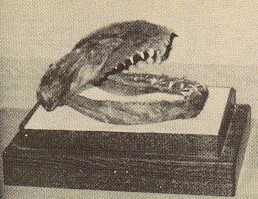 A local history museum has in its collection a large jawbone measuring 34 centimeters (13 in) across, which many believe belongs to the giant snake. Others speculate it belongs to a shark. The Takitaro is a type of giant fish measuring up to 3 meters (10 ft) long, which is found in Yamagata prefecture's Lake Otoriike. Located nearly 1,000 meters above sea level, the remote mountain lake was created ages ago when an earthquake triggered a massive landslide that dammed up a mountain stream. The Takitaro appears in a number of stories throughout the 20th-century. In 1917, for example, a pair of men are said to have captured a 1.5 meter (5 ft) long fish that was large enough to feed 20 floodgate construction workers for 4 days. In 1982, a group of mountain climbers above the lake observed a fish over 2 meters (6.5 ft) long in the clear water below. This sighting grabbed headlines nationwide. Three years later, in 1985, a team of scientists went to the lake in search of the Takitaro. Sonar equipment revealed the presence of giant fish, and the scientists identified some smaller specimens as relatives of ancient salmon that likely became trapped in the lake when it was formed long ago. The true identity of the giant Takitaro, however, remains a mystery, but some believe it is a mutant descendant of these ancient fish. Kappa (river imps) have appeared in countless stories and folk legends for centuries, and they rank among Japan's most well-known cryptids. While most people nowadays regard the amphibious child-sized troublemakers as pure myth, stories of kappa encounters still crop up from time to time, such as the following two reports from Japan's southern island of Kyushu. Report 1 -- Slimy Footprints at the River's Edge: At around 11 PM on August 1, 1984 in the town of Tsushima in Nagasaki prefecture, a squid fisherman named Ryu Shirozaki was walking home from the local pier after work. As he passed near the Kuta river, he came upon a small group of children playing at the water's edge. While it was not entirely uncommon to encounter people fishing in the river at night, it was rather surprising to see youngsters there. As Shirozaki approached the children, he was struck by how bizarre they appeared in the moonlight. 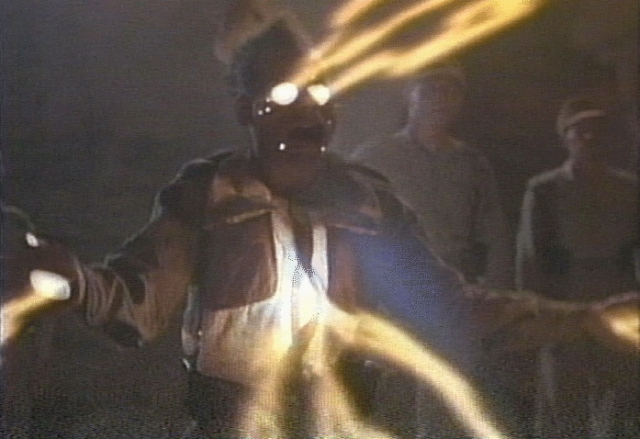 He could make out swarthy faces, unusually spindly arms and legs, and glistening skin. Suspicious, Shirozaki called out to them as he neared, but they seemed startled and quickly disappeared into the water. The next morning when he returned to the same spot, Shirozaki discovered a set of moist, teardrop-shaped footprints on the nearby pavement. The prints, which appeared to consist of a slimy substance that had begun to coagulate under the hot morning sun, stretched for about 20 meters. Each footprint measured 22 centimeters (about 10 in) long and 12 centimeters (5 in) wide, and they were spaced about 50 to 60 centimeters (about 2 ft) apart. Shirozaki and a few curious onlookers immediately suspected the footprints belonged to a kappa. People began to gather around as the news spread quickly through town, and all agreed the prints belonged to a kappa. In the minds of many residents, the footprints confirmed the existence of the river imps they knew through local legends. When police forensic investigators arrived on the scene, they determined that the slimy footprints consisted of an unknown secretion. They took a sample to the lab for analysis, but the results unfortunately turned out to be inconclusive because the sample was too small. The police eventually dropped their investigation, and the mystery of the slimy footprints was never solved. Report 2 -- The Unclean Guest: Another recent kappa encounter occurred on June 30, 1991 in the town of Saito in Miyazaki prefecture, when an office worker named Mitsugu Matsumoto and his wife Junko returned home for the evening. Upon opening the front door, the Matsumotos were confronted with a strange smell inside their home. Inside, they found dozens of small, wet footprints around the front door and in the hallway, bathroom, and two tatami rooms. At first they suspected a burglar, but they soon realized nothing had been stolen. The police briefly surveyed the house, but found nothing except a floor soiled by 30 footprints, each measuring about 7 centimeters long and 6 centimeters wide, and having 4 or 5 toes. 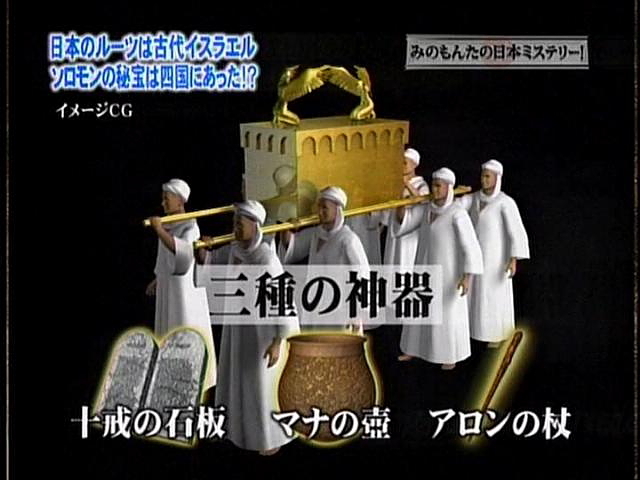 To Matsumoto, the footprints did not look human, nor did they appear to belong to any animal he could imagine. Later that night, as Mrs. Matsumoto was putting laundry away, she discovered an unusual orange stain on some clothing. The next morning, as Matsumoto inspected the house more closely, he discovered a deposit of orange liquid on the portable stereo in the tatami room. He took a sample to the local public health center for analysis, and the results indicated the liquid had an extremely high iron content and a chemical composition resembling spring water. Troubled by the incident, Matsumoto decided to visit a shaman. After listening to Matsumoto's story, the shaman encouraged him not to worry, explaining that the kappa indigenous to the nearby swamp enjoyed playing the occasional prank on local residents. The kappa were harmless, the shaman told him. Harmless, perhaps, but Matsumoto found the kappa difficult to clean up after. He tried using detergent, paint thinner and gasoline to remove the footprints and orange stains, but nothing seemed to work. Mutant golden frogs a sign of good luck? 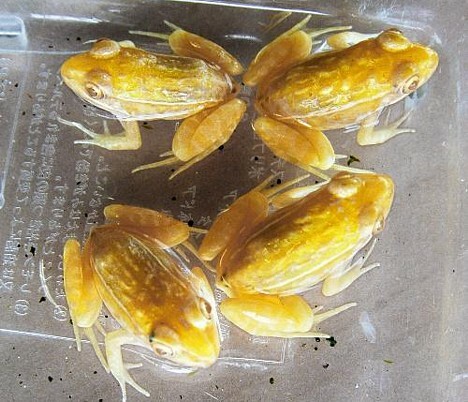 Four mutant frogs with gold skin and red eyes, found by children in a grassy field in the town of Shimanto in Kochi prefecture, have gone on display at the nearby Shimanto River Gakuyukan science center. According to a center spokesperson who says the golden specimens are highly unusual, the 2.4-centimeter (almost 1-inch) amphibians appear to be black-spotted pond frogs (Pelophylax nigromaculata, a.k.a. Rana nigromaculata) whose skin turned gold because of an albino mutation that prevents the formation of pigment cells. With a run of bad luck that has brought shrinking visitor numbers and a recent theft of 1.25 million yen (about $10,000), the center hopes the golden frogs are a sign of good fortune to come. Oddly, they look sort of like feng shui money frogs (Chan Chu), except that money frogs have three legs. Earlier this month, Himawari Dairy began selling space yogurt, which is made using two types of lactic acid bacteria that spent 10 days in space aboard a Russian Soyuz rocket last spring. The yogurt, called Uchu O Tabi Shita Yogurt (literally: "yogurt that travelled in space"), is now available in Shikoku's four prefectures. The space yogurt follows Tosa Space Sake, which hit shelves last spring, as the second space-related product created to stimulate business in Kochi prefecture. Himawari Dairy worked with the Japan Manned Space Systems Corporation (JAMSS) to organize the space trip for the bacteria. The payload included lactic acid bacteria used in ordinary yogurt, as well as a unique strain of Lactobacillus paracasei cultured from pickles preserved in sake lees (sediment that occurs during sake brewing). In previous joint research conducted with Hokkaido University, Himawari found that Lactobacillus paracasei works to enhance the body's immunity to disease. The space yogurt was made using these two types of bacteria mixed with a third type of bacteria. 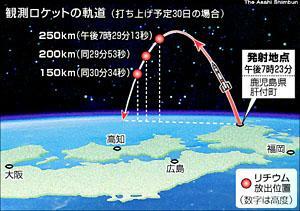 According to Himawari Dairy President Bunjiro Yoshizawa, about half of the bacteria died in the agar medium due to the harsh environment inside the rocket. The strong, surviving bacteria gives the space yogurt a more full-bodied flavor compared to yogurt made with standard earthbound bacteria. The space yogurt is priced at 128 yen (a little more than US$1.00) for 90 grams of the pre-sweetened type and 238 yen (about US$2.00) for 400 grams of the plain type. 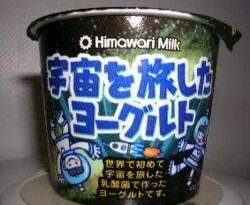 A space yogurt drink is also available in 90 and 500 gram containers. Final preparations are being made for the launch of a project to develop space yogurt. The plan is a follow-up to the Tosa Space Sake (Tosa Uchu-shu) project, in which a number of Kochi prefecture sake brewers organized a 10-day space journey for a batch of yeast that was later used to produce sake (due to go on sale in Japan on April 1). Himawari Dairy, a Kochi-area dairy manufacturer, has reserved a seat aboard a Soyuz rocket for a payload of lactic acid bacteria that they hope to use to produce the world's first space yogurt after it returns to Earth. "We are deeply interested in seeing how the bacteria will change in space," says Himawari Dairy President Bunjiro Yoshizawa. "We hope it will undergo some interesting changes." The space yogurt project is the result of cooperation between the key players in the space sake project -- a group of Kochi prefecture business leaders promoting the use of space travel to stimulate the local industry, along with the Japan Manned Space Systems Corporation (JAMSS), which handles the logistical affairs. After tasting some success with the promotion of the space sake project, the groups decided to turn their attention to developing space yogurt. The ingredients to hitch a ride on the Soyuz include Himawari Dairy's unique lactic acid bacteria cultured from pickles preserved in sake lees (sediment that occurs during sake brewing) and lactic acid bacteria used in commercially available yogurt. Live bacteria cultures and dormant freeze-dried bacteria will be on board. The payload also includes a sample of chlorella (green algae) for research purposes, which was provided by the Kochi University School of Agriculture. On March 22, the ingredients were loaded into special containers in Kochi City and shipped to the Baikonur Cosmodrome in Kazakhstan. After spending about 10 days aboard the Soyuz, which is scheduled to launch March 31, the bacteria will be returned to Himawari Dairy, who will study the mutations and safety of the bacteria before beginning work on yogurt production. They hope to have the world�s first space yogurt on shelves sometime this autumn. 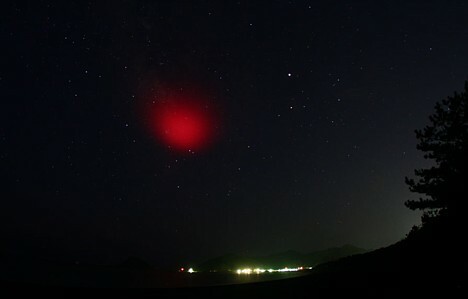 Cosmic radiation is expected to have an effect on the bacteria. "Lactic acid bacteria is delicate, so we are looking forward to seeing what happens," says Yoshizawa. "It will be nice if space travel improves the yogurt's flavor and boosts its immunity-enhancing properties." Final preparations are being made for the April 1 launch of Tosa Space Sake, a Japanese rice wine made with a batch of yeast that spent 10 days in space last October aboard a Russian Soyuz rocket. At a March 6 press conference held in Kochi city, the labels for the space sake, which will hit shelves across Japan next month, were displayed to the public. Each of the 17 participating brewers from Kochi prefecture has their own marketing plan. Five of the companies� labels show an image of the earth floating in blue space. Another label was created by Dehara Yukinori, a "figure illustrator" native to Kochi city, whose design features a comical depiction of an astronaut, sake brewer, and farmer. A separate label for the?Tosa Space Sake (Tosa Uchu-shu) logo is also affixed to each bottle. All that remains now is the final taste check. 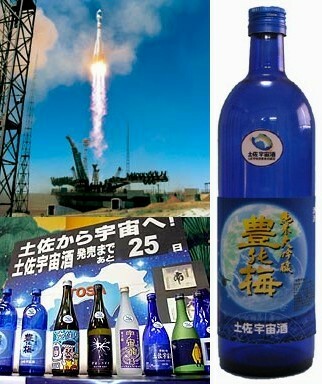 Then, on April 1, the world's first space sake will take off.